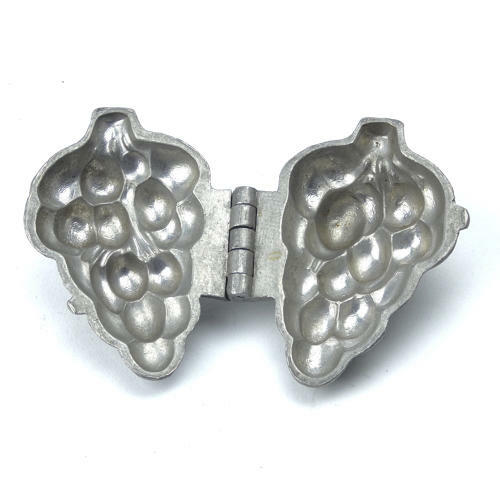 A small pewter ice cream mould in the shape of a bunch of grapes. This mould is marked, in the casting to both sides, with the initials 'LG' which is the mark of the French company Letang. There is also a number '1680' which is probably the pattern number, although the last number is slightly blurred. It dates from c.1880. The design in this mould is very well detailed and it is in excellent condition. The interior is in good, bright, usable condition and the exterior has a pale patina. We have 2 in stock, both in the same condition.